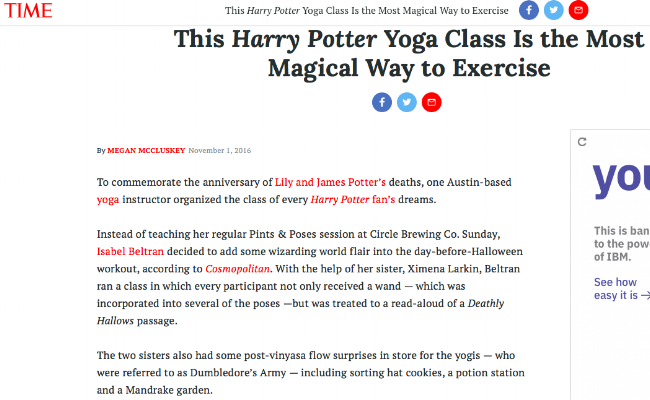 The Harry Potter Yoga class my sister and I created together turned into a worldwide success. It elicited interest from the actors of the movie and a call from Warner Bros. (politely asking us to stop doing the classes). Below, in alphabetical order, is a sample of press. 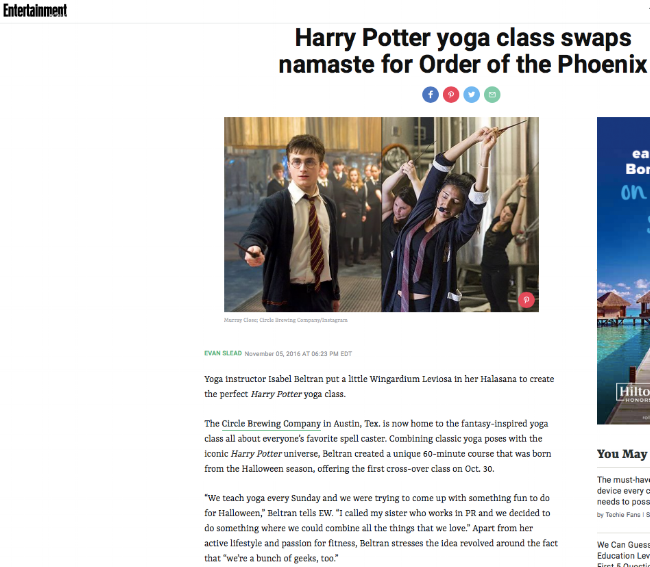 Glamour (Paris): Des cours de yoga "Harry Potter", ça vous tente? India Today: A Harry Potter-themed yoga class that lets you be a part of Dumbledore's Army? Yes please!